As much as I like my phones, I also like headphones. I have reviewed several pairs already on here. Go to menu, reviews, accessories, headphones. I have owned far a fairly broad selection of headphones, so feel free to ask for a comparison to another make if necessary. Frequency response: 10Hz … 20000Hz, (diffuse field oriented mid-high range). First up, the enclosed documentation is rubbish. The manual or quick start pamphlet is all full of meaningless pictures. So head over to the online user guide by Sony. Click here. There is also a link to the PDF manual. 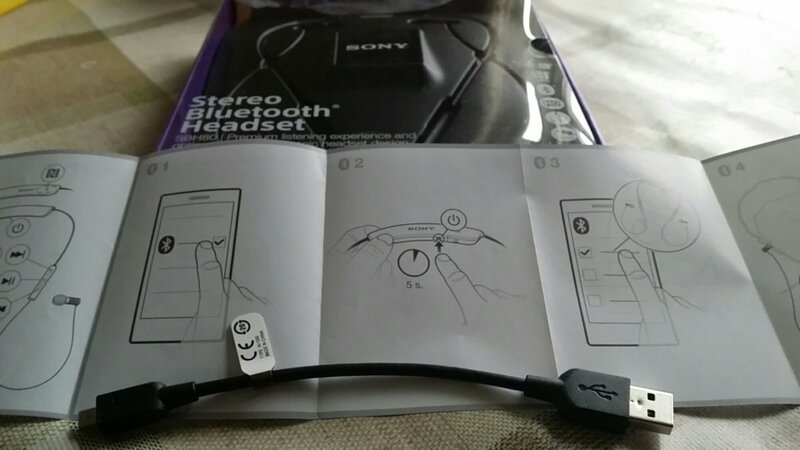 Sony advertise the headset as splash proof, so if it rains there is nothing to worry about. However, there appears to be no official IP rating so I would be a little careful. Pairing was simple. I fully charged the headset, and pressed the tiny button to switch on. It takes 2.5 hours to charge the band for 8 hours usage. Then using the NFC from the headset and the Note 3 paired the two together. 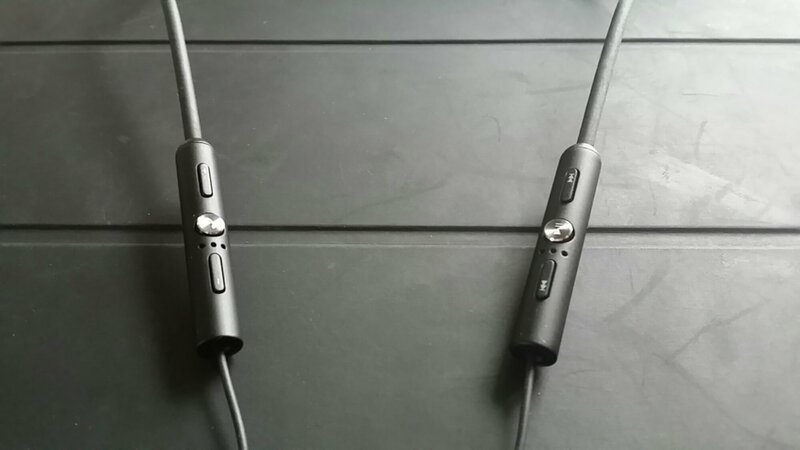 The headset allows for 2 devices to be paired. -Flashing red light: battery level is between 0% and 4%. -Yellow light: battery level is between 5% and 29%. -Green light: battery level is between 30% and 100%. -Flashing cyan-coloured light: headset is in pairing mode. -Flashing purple light: a call is coming in. If you have a Sony smartphone like the Xperia Z1 or upcoming Z2 you can set to receive a notification when the headset battery is critically low. The main antenna for the device rests on the right cable, so it’s best to have your phone on the same side to ensure perfect sound without any drop outs in sound. In the time I’ve used the headset I’ve not suffered from this. Sound and call quality. Making and receiving calls, peoples voices were crystal clear. The sound quality as a music player was very good but not as good as say the Sony XBA-H1 or anything more expensive. There is sub bass attack if the tracks include it, and at sometimes this might feel too much, but it’s a fairly neutral musical sound in the mid and treble. In fact, the overall presentation is fairly neutral with a slight hint of bass at times, although some bass driven tracks will explode with bass and muddle the midrange. It’s an odd experience at times. The soundstage is slightly closed in, but separation is reasonable. The presentation is trying to be too accurate at times, and the the treble is the weakness in this setup. But I am being super analytical. Overall it’s a great all round package. The sound is private so I didn’t get any complaints that the sound was leaking and in the same light I couldn’t hear anyone either. In terms of volume I’ve not had issue with the sound volume not being loud enough. If you have any questions, please leave a question in the comments section. With recent Z1 Kit Kat my SBH52 sounds even better – I know it has not got aptx. The main thing for me is I find the reproduction really enoyable and my experience from high end hifi (Linn/Naim) is that if the reproduction is musical it probably is good reproduction. At nearly £80 the SBH80 may be too expensive. I’ll wait 6 months and see what happens to the price. Hey can you tell me which charger I can use to charge this headset? I have ordered one online and it’ll arrive in a few days. I fear to use the one I got with my Xperia Z because it is a high capacity charger, I feel it will damage the little battery in the headset. Or am I wrong? I’ve just used whatever micro USB charger I have. Yeah, thanks. Also the official user guide in the link that you provided says any Sony charger is recommended. So I guess it won’t do anything bad. Hey. I need a suggestion. I am planning to buy a sony headset to use it with my tablet. 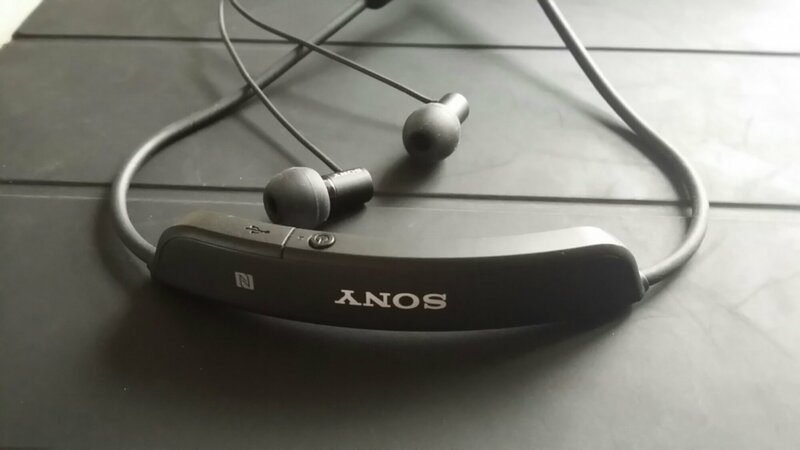 Sony Sbh 52 can be used directly without an earbud to answer calls. which will be convenient with tablet. And at same point of time I need an headset with good sound. SBH 80 has AptX audio enhancement. So suggest me whether I should go with Sony SBH 52 or SBH 80. Which of the two sounds best ? or they both delivers almost similar sound. Look, I got my SBH80 delivered a few days after the first comment I made here. I must say that it is an awesome one! I am in love with it and also my friends. It is so light and so comfortable that you don’t even feel something is tucked in your ears or something is resting on the back of your neck. The sound quality is also awesome as per my need. Now I seriously can’t compare it with SBH52 for you as I have never used that one. It is your need that will decide which one you should buy. If you feel that the 52’s direct usage for calls will really help you more than this then buy 52, I can only say SBH80 is a brilliant one! I chose SBH80 because it is the only one in SBH serious that keeps you free from ‘clipping something’ to your shirt. It has a little and light plastic unit which contains all of its circuit and battery which rests on your neck whereas for all others it has to be clipped to your shirt which makes them uncomfortable. I am having problems with volume levels. If I get the right tips and get a good seal in my ear, then the music quality is good and I have to turn it down to about 80% or it is too loud. However, the phone volume is much lower and if I don’t have the tip totally jammed in my ear canal, the volume in not loud enough at 100%. If I force the tips in my ears, I can hear very clearly, but if there is any outside noise or a slight loss of a seal (which happens every time you open your mouth very wide) it is not loud enough. Anyone else having this problem? It’s not loud at all … 😦 I’m really disappointed! I believe their are balanced armature NOT dynamic driver earphones. What is the difference between sound stage and separation, can you please explain? but i do need a good ear bud fit, and lesser package to carry, and i dont mind to keep the battery housing seperately. What is the danger with the battery ? Is this caused where you work? I just got these to go with my Sony Smart Watch 3 and Z3C. Agree with pretty much all of your review – bass is slightly emphasized, but pretty balanced and great-sounding overall. A post above says these are balanced armatures, but they’re not – just small 5.8mm dynamic drivers. Can’t believe quite how ell BT headsets have come along over the years. It’s successfully paired with my lenovo p780, but undetected on my Samsung Galaxy Tab 2, and my windows 8.1 laptop. Do you have any idea what might happened? Probably can only pair with one device at a time maybe ? Also pairing probably not done correctly is other option. Good day guys, I ve had this earpiece since it lunched and I hav really enjoyed it so far but lately when am calling someone or I have a call the other party don’t seem to hear me and am wondering wht the problem might be bcus every other thng is working perfectly, I can still play my some from my phone, oh, by the way am using a Samsung Galaxy Note 4… Pls y’all I need some help as I still luv this piece, thanks…. HI can someone confirm if sbh80 has voice dialing function with Samsung note 4.